I've had the opportunity to see glass artist Dale Chihuly's work in Seattle, Las Vegas, and at the Franklin Park Conservatory in Columbus, Ohio. His work is stunning and impressive. He's exhibited all over the country and in several major cities around the world and there are many pieces on permanent display in places such as The Bellagio in Las Vegas and the Oklahoma City Museum of Art in Oklahoma City. The Catalina Island Museum in Avalon, California. The New York Botanical Garden in Bronx, New York. 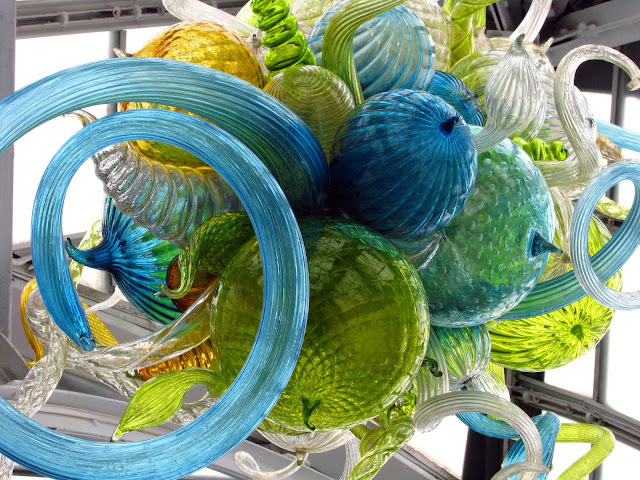 The Chihuly Sanctuary at The Fred & Pamela Buffett Cancer Center in Omaha, Nebraska. The Crystal Bridges Museum of American Art in Bentonville, Arkansas. The Maker's Mark Distillery in Loretto, Kentucky. If you have the opportunity to visit any of these locations, do it! My choice would be the exhibit in New York. But then, as a New Yorker, I'm a little biased. 2011: Beautiful By Nature. Dirty By Choice. 2007: The Hills Are Alive…Or Are They? There is also The Spencer Theater in Capitan, NM. Awesome!